Descartes Systems Group has announced it will unveil a fully integrated, complete range of smart compliance management solutions at the CV Show, 30 April – 2 May at NEC Birmingham. On Stand 5G110, Descartes will launch its SmartDownload Telematics Hub, which allows the automatic remote download of tachograph data via installed telematics devices. Transport operators of all sizes will be able to automatically download driver card and vehicle unit tachograph data via their telematics devices, says the company, unlocking time savings and ensuring tachograph data is downloaded on a daily or weekly basis. This will enable operators already using telematics systems to extend their use and get more out of their investment, says Descartes, adding that the SmartDownload Telematics Hub is able to work with all the leading telematics and HGV manufacturers’ solutions. 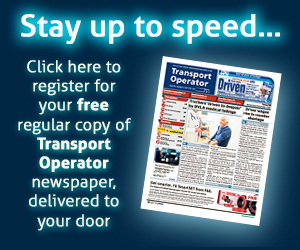 The cloud-based solution replaces traditional manual download processes of tachograph data. VU data must be downloaded within 90 days, and driver card data is required within 28 days. Automatic remote download of tachograph data means that data can be downloaded to a schedule whilst the vehicle is in operation, saving 20 to 30 mins per vehicle per week downloading VU data and driver card data back in the depot. Downloading data on a daily or weekly basis rather than the legal limits of 28 and 90 days means that issues such as unaccounted mileage can be dealt with before they become a big problem, says Descartes. The SmartDownload Telematics Hub downloads the tachograph data to Smartanalysis for analysis and reporting. Smartanalysis is part of the Descartes SmartCompliance suite and also includes SmartLicence, driving licence and Driver CPC verification with the DVLA and SmartCheck, digital driver vehicle safety checks – all in one location. SmartCompliance users can also benefit from SmartAlerts, automated email alerts to issues that need immediate attention. SmartCompliance provides operators of all sizes with one integrated package, says Descartes: one single system; one login; one complete picture to manage compliance. Andrew Tavener, head of marketing at Descartes Systems UK, added: “With a single source of compliance data, companies can leverage automation to move from reactive to proactive management by exception. For example, automated processes for analysing vehicle and driver tachograph data ensures any unaccounted distance or a lower than expected number of vehicle checks are immediately flagged.